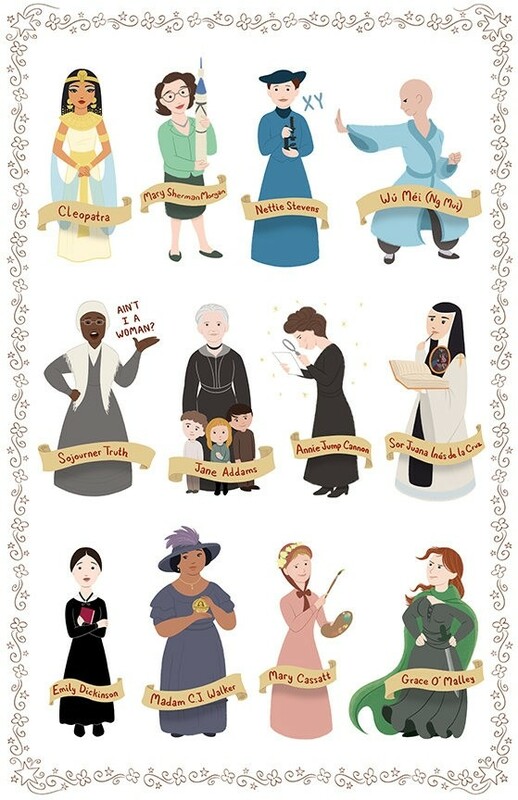 Catherine and Sarah Satrun of the Satrun Twins' Art Shop pay tribute to the women of history with this colorful poster, the third in an annual series recognizing Women's History Month! 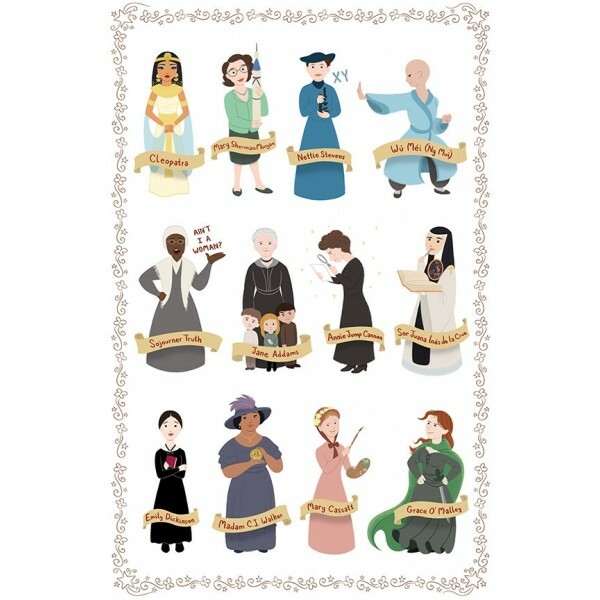 This 11 by 17 inch poster features 12 women: Cleopatra, Mary Sherman Morgan, Nettie Stevens, Wǔ Méi, Sojourner Truth, Jane Addams, Annie Jump Cannon, Sor Juana Inés de la Cruz, Emily Dickinson, Madam C. J. Walker, Mary Cassatt, and Grace O'Malley. This high quality print on glossy paper comes signed by the artists. This poster is also available as part of a three pack which includes all three of the Satrun Twins' Women in History Posters. For more empowering wall art, check out our Art & Decor Collection.